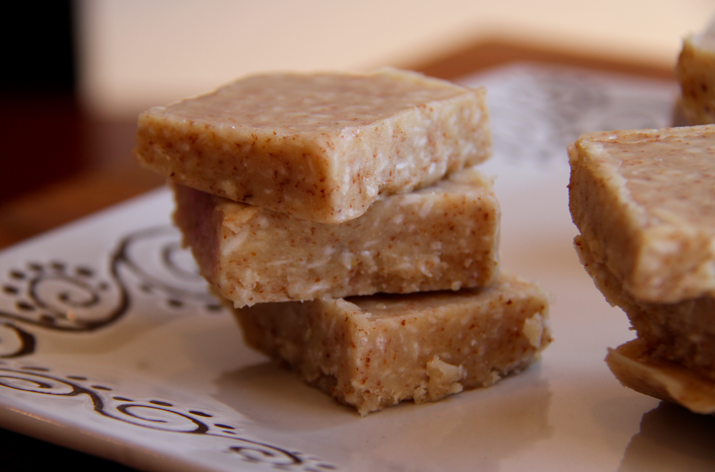 A while back, I posted the recipe for Toasted Coconut Almond Butter Fudge. They are a family favorite around here. I made a simpler version the other day when I was having a major sweet craving. I left out the chocolate and decided not to use the candy molds. I basically poured the mixture into an 8×8 pyrex pan and let it freeze. DONE!! So easy. 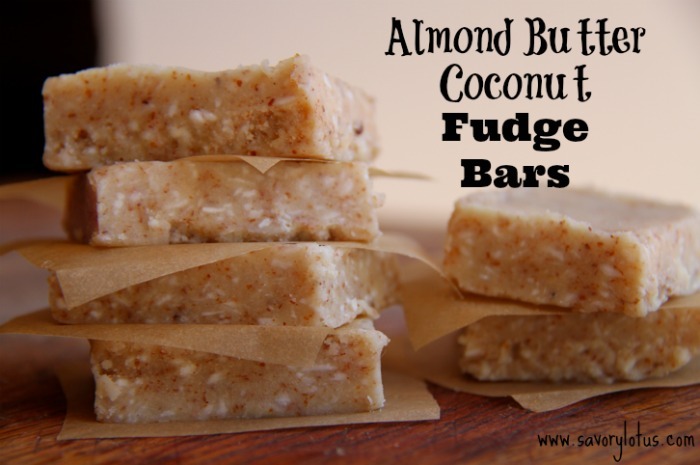 Introducing: Almond Butter Coconut Fudge Bars. This recipe is a featured guest post at Homemade Mommy. 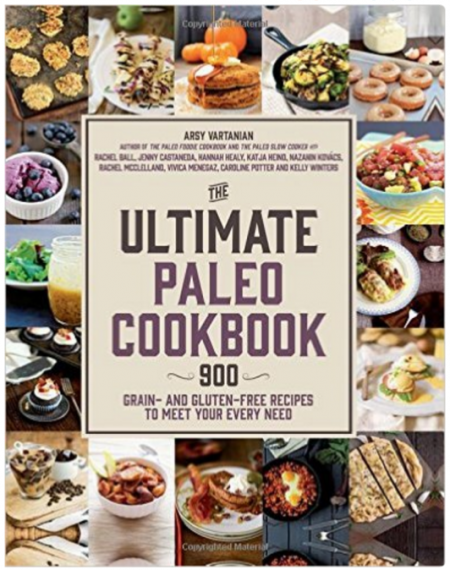 Click HERE to see the recipe.